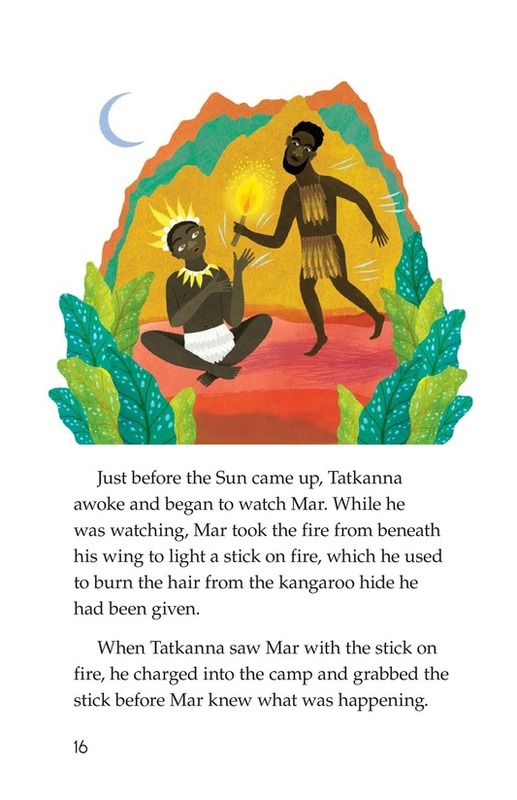 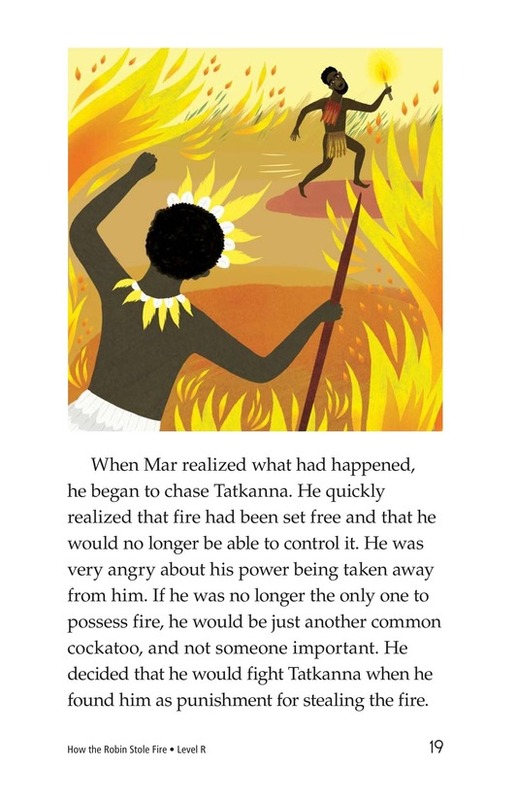 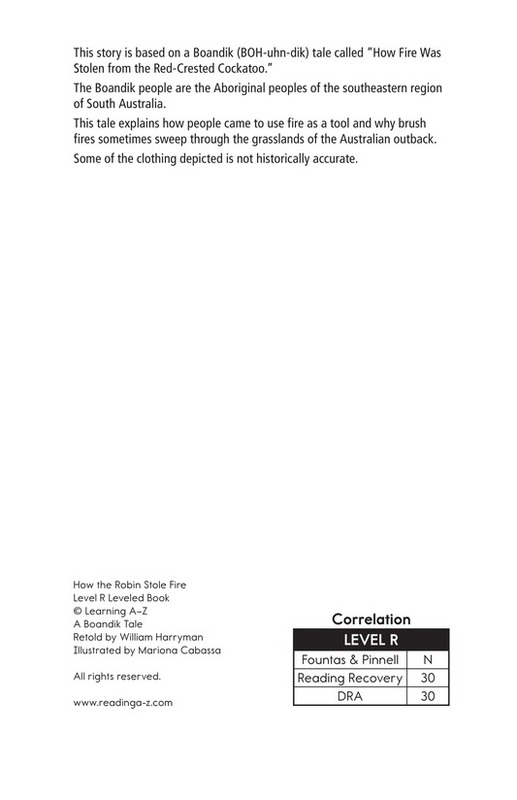 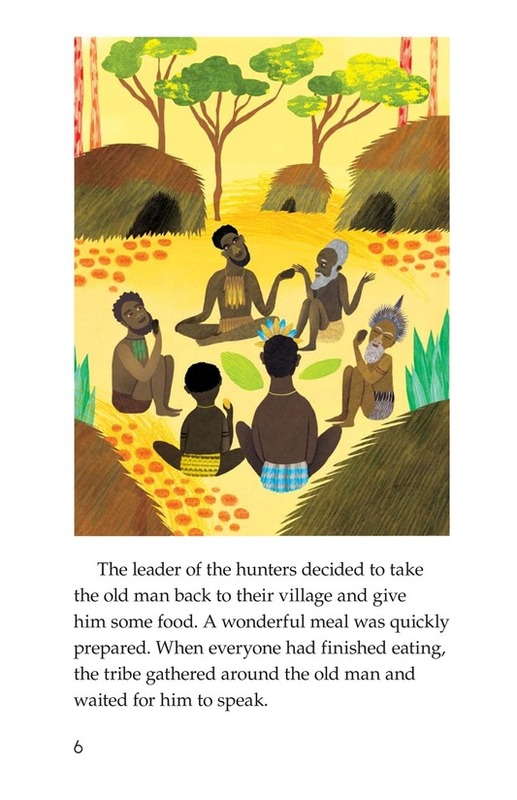 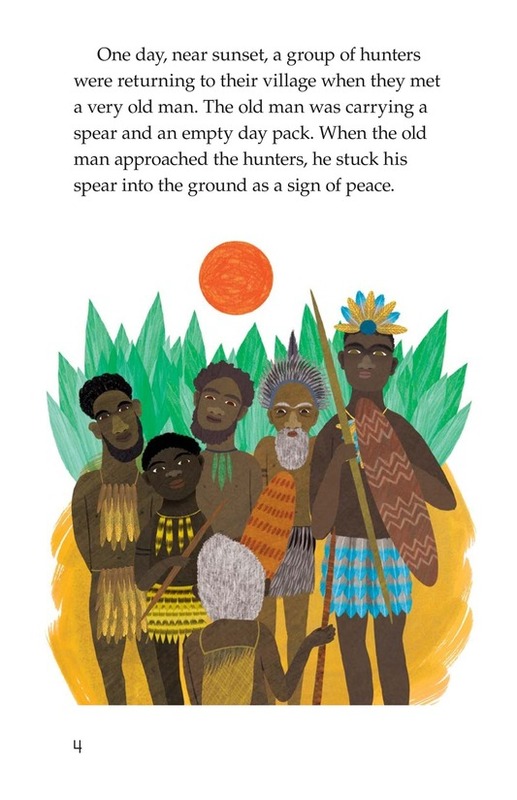 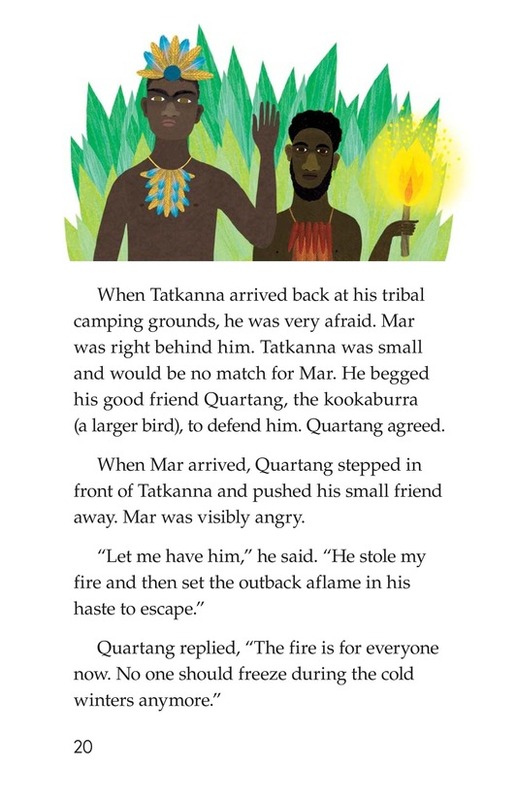 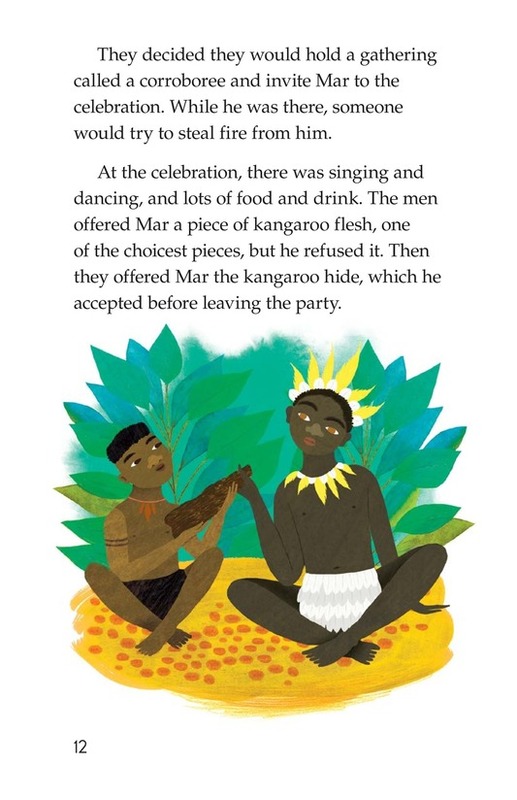 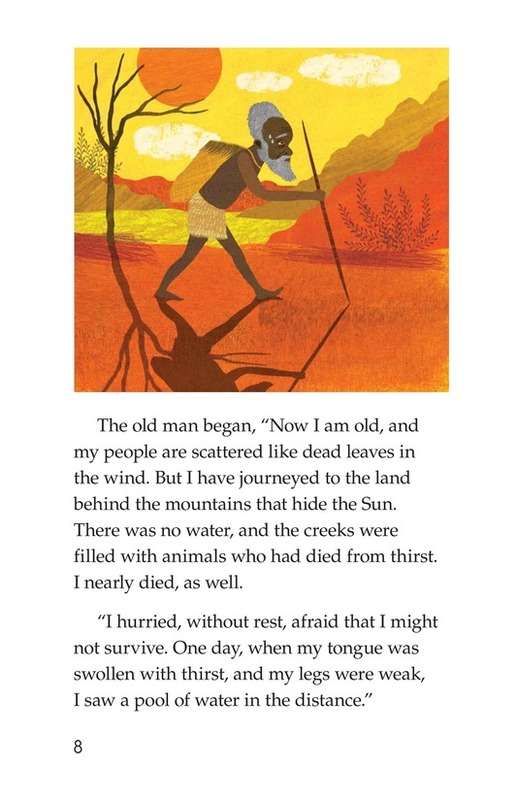 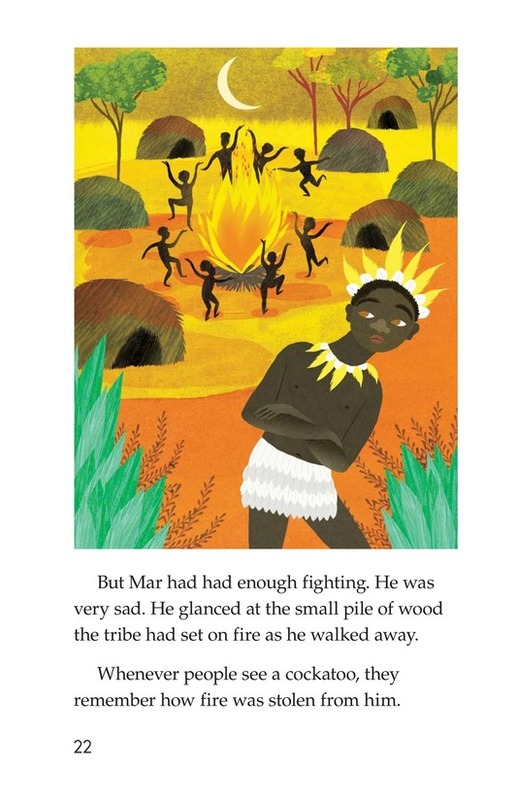 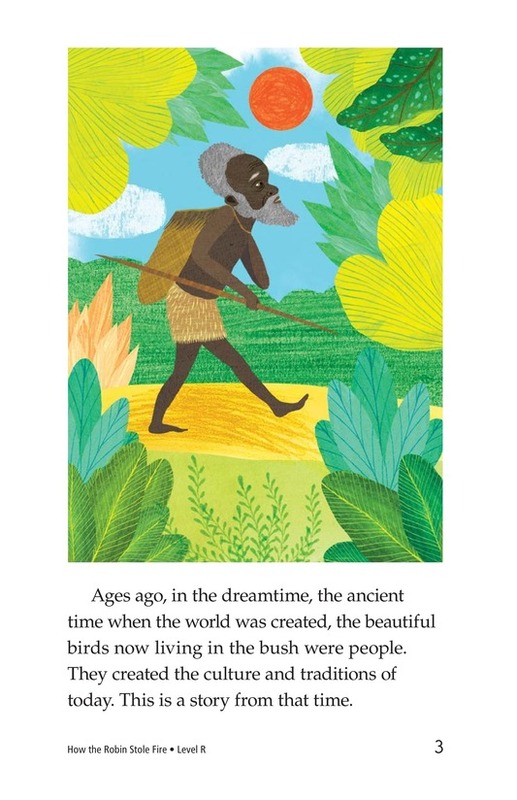 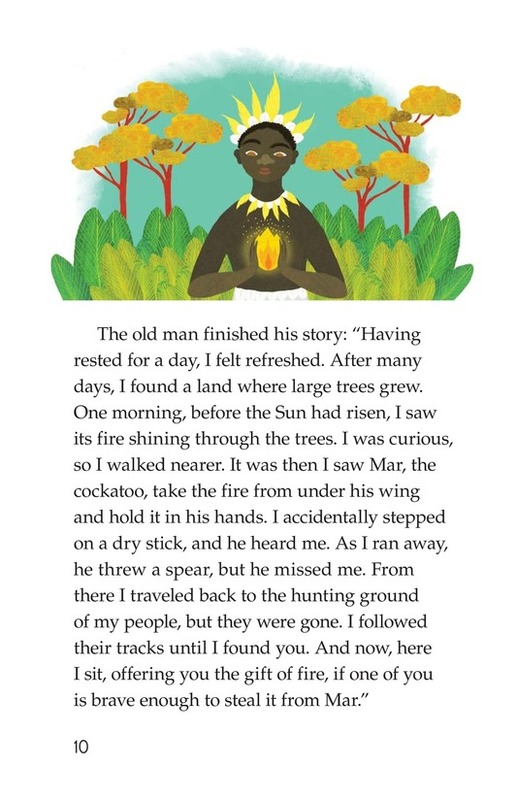 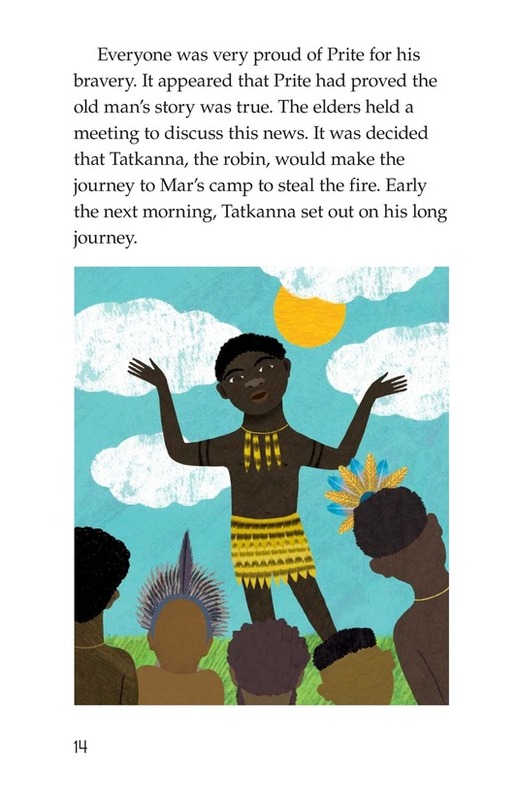 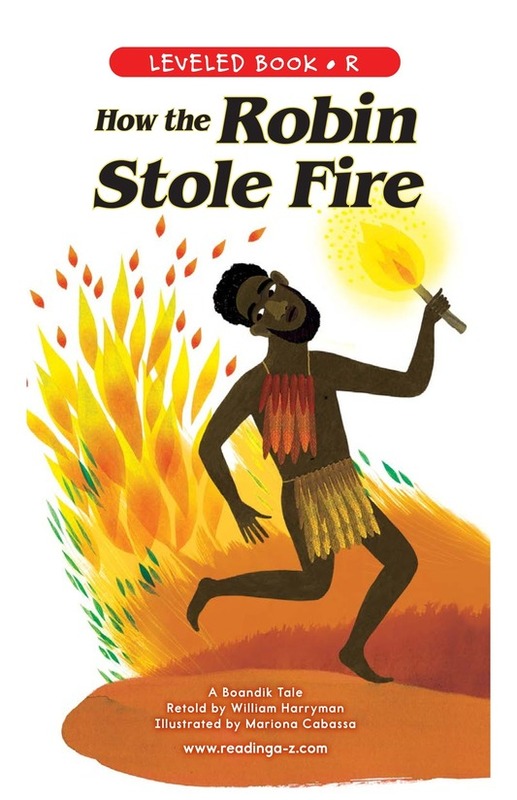 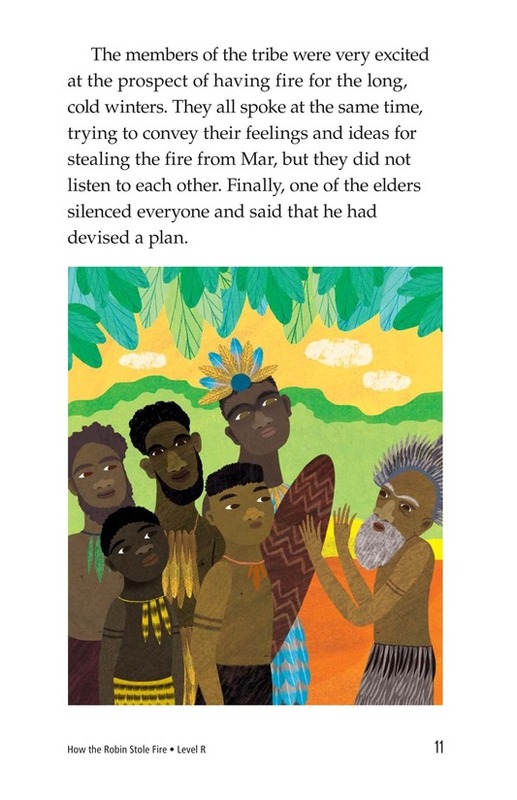 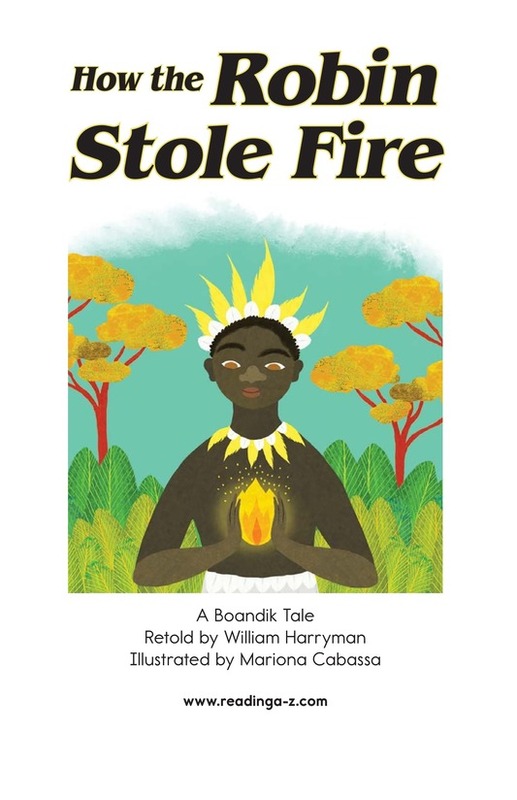 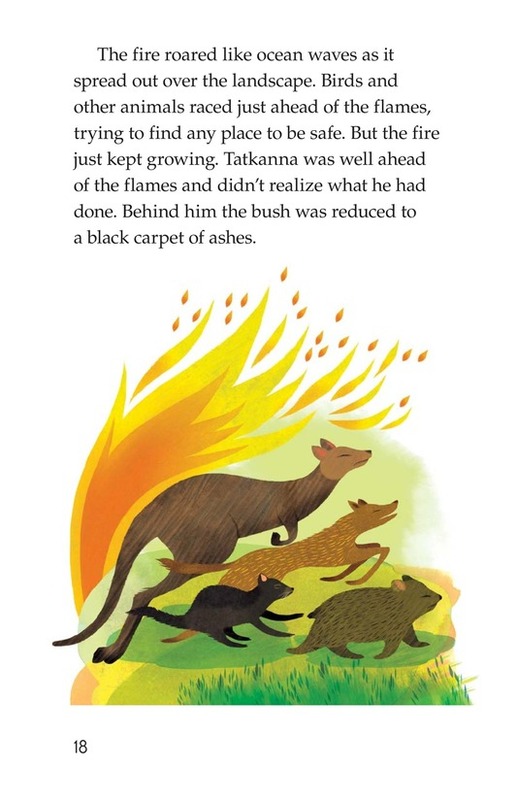 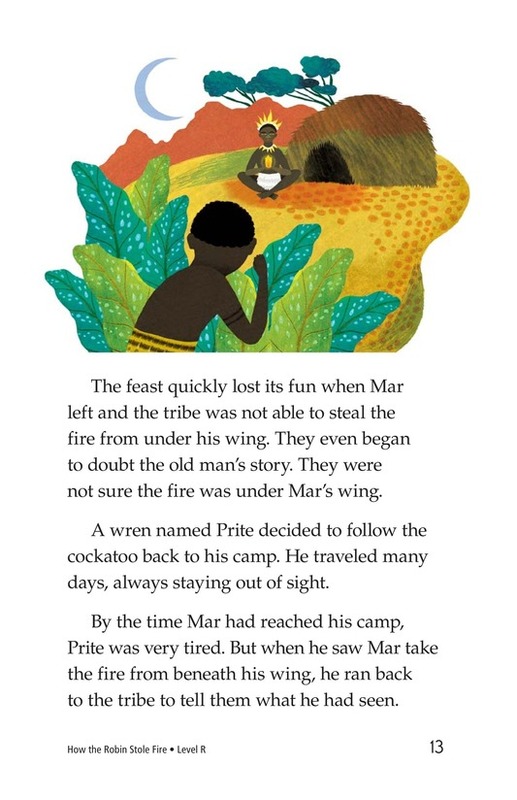 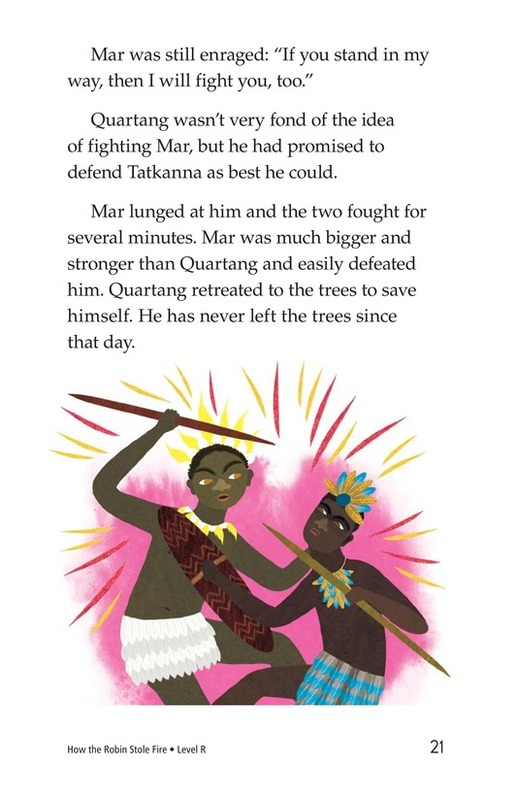 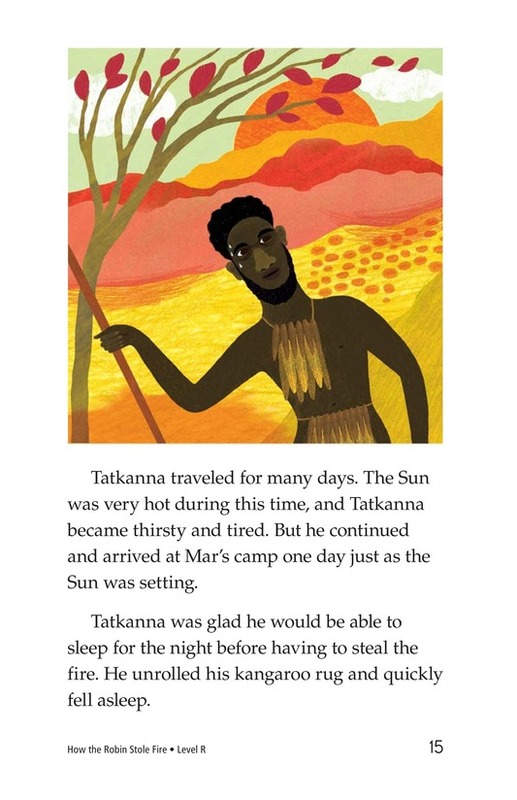 How the Robin Stole Fire is a retelling of an Australian Aboriginal pourquoi tale. 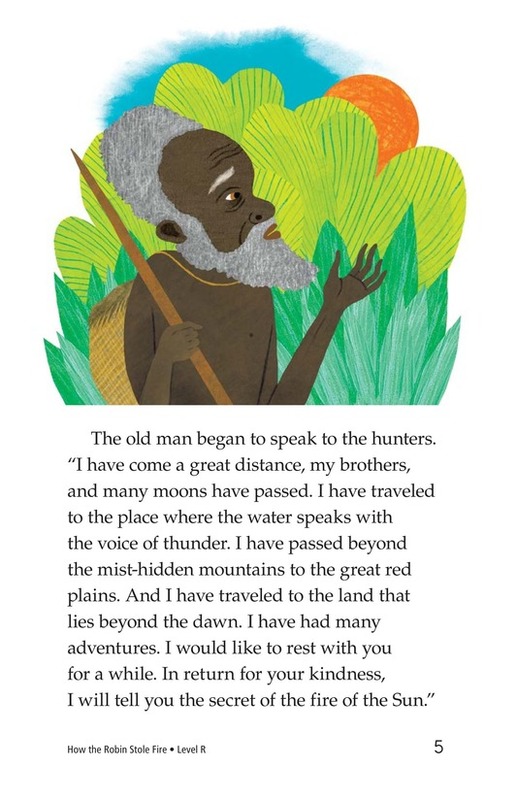 The story begins when a travel-weary old man shares the secret of fire with a group of hunter birds. 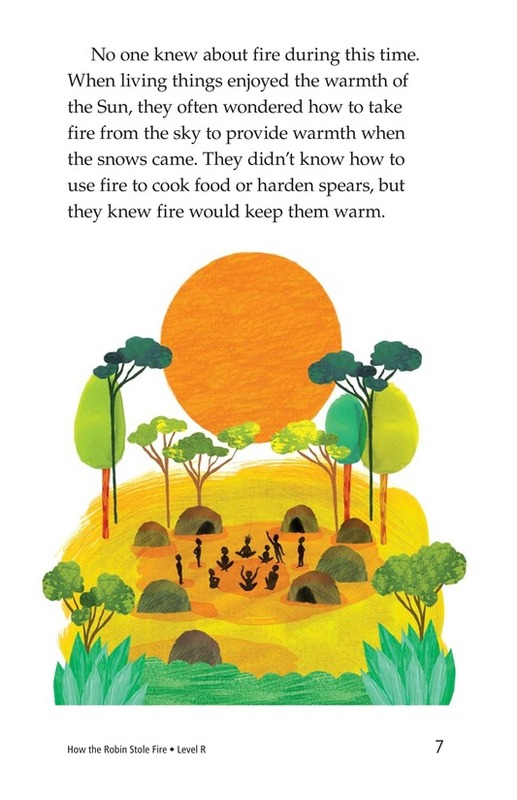 The birds then set out to steal the fire from the cockatoo who hoards it. 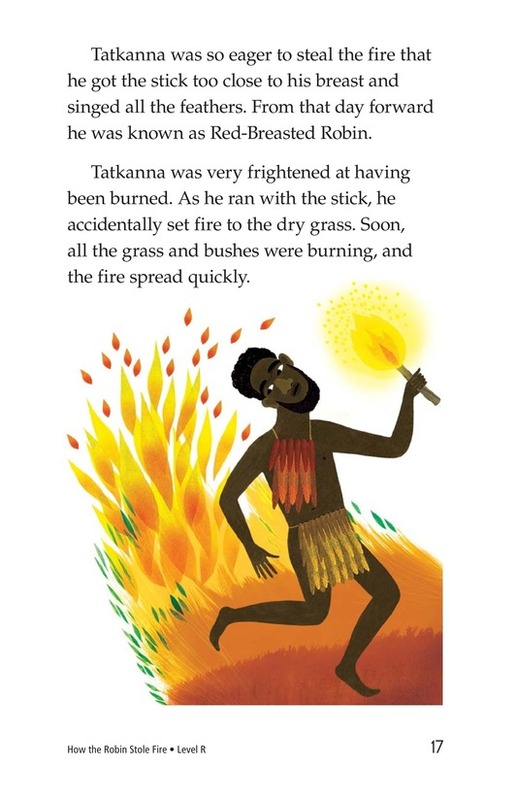 The tale explains both the origins of useful fire and the brush fires that periodically sweep the grasslands of the Australian outback. 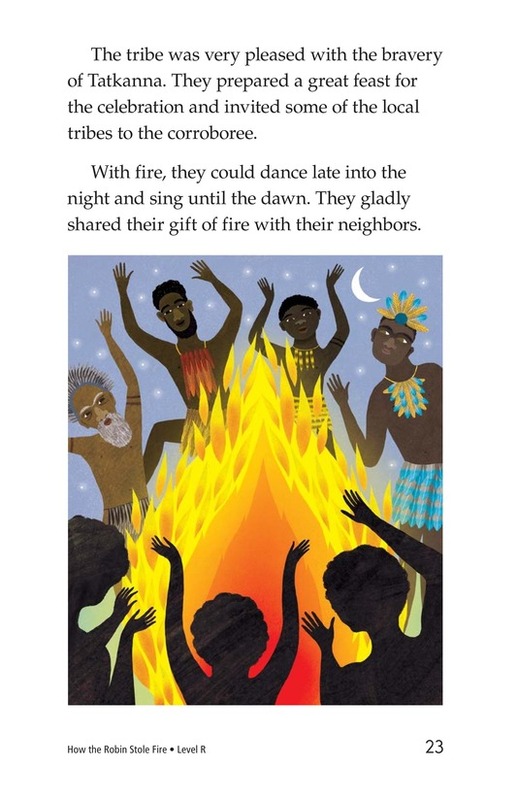 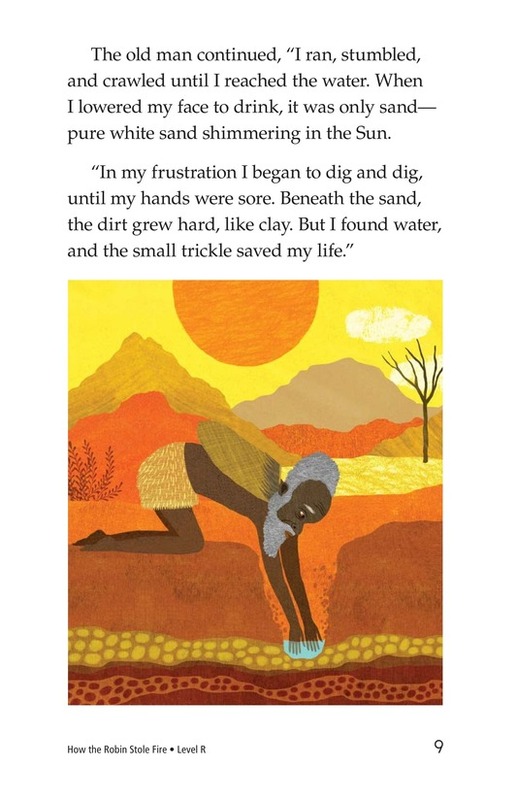 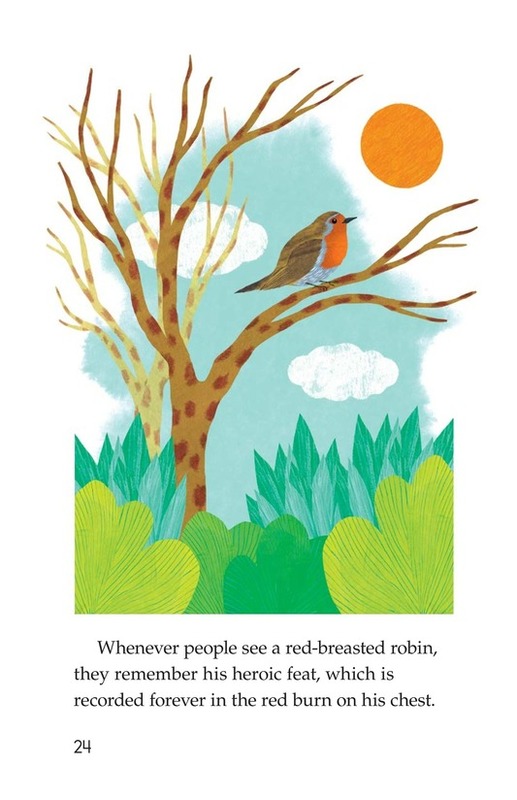 Whimsical illustrations support the text.